MINNEAPOLIS – There’s a school improvement model that has gotten consistent results in large schools, small schools, high-performing ones, low-performing ones, those with large achievement gaps, diverse schools, homogenous ones, and schools that are rural, urban and suburban. An impressive track record of hard evidence has made it the only program to earn three levels of competitive grant funding from the federal government since 2010. At large, diverse Hemet High School in urban southern California, this program helped close the achievement gap between ninth-grade Latino students and their peers within two years. At mid-sized Noble High School in predominantly white, rural southern Maine, ninth-graders participating in the program were absent half as much as their peers who weren’t exposed to it. At large, majority-Latino Bryan Adams High School in Dallas, the number of freshman failing classes dropped from 44 percent to 28 percent in one year. But these students are hard to reach. Giving a concrete structure to such a holistic focus is what sets BARR apart. The model requires at least three ninth-grade teachers from core content areas (like English or math) to be on a BARR team. These teachers should have the same students in their classes so they can all bring personal experiences with these kids to their joint conversations. But teachers also split up students and become the main point of contact for a subset of them, which seems to reduce the likelihood anyone will get overlooked. The BARR model dictates teachers should meet at least once per week and a larger team of the BARR teachers plus counseling staff should, too. In both meetings, educators work off spreadsheets that identify the students, their grades in all their classes, their strengths, the things they struggle with (in and out of school), specific problems they’re having, achievable goals to get or keep them on track and a running list of solutions teachers have tried. Having access to this comprehensive information is crucial to the model. It creates accountability for educators as they develop and execute plans to intervene with struggling students, and it keeps a running record of a student’s experiences. Nancy Simard, BARR coordinator and guidance director at Noble High School in Maine, said team meetings have happened at Noble since the 1990s, but BARR made them more effective. Instead of simply bringing up kids whom teachers happened to be worried about that day, teams track all students, monitoring progress and setbacks for everyone, along with attempts to intervene when students need extra support. During a BARR meeting with teachers and counselors at St. Louis Park High School just outside Minneapolis this past winter, the team worked through a list of students highlighted on a shared spreadsheet. One had missed a lot of school recently and his grades were low. The team clicked into the school’s learning management system to pull up more information about his attendance, missing assignments and class schedule. A teacher pointed out that he wants to go into the music industry and doesn’t seem to think high school is useful on that path. The team discussed options for working business courses into his schedule, along with more music, and strategized ways to get him more engaged in the rest of his classes. There was general agreement that his grades did not reflect his capacity. “He has so much ability, but he’s putting in so little effort,” said Sara Peterson, the ninth-grade science teacher. As they wrapped up their conversation, they filled out a Google form, describing the plan to help keep the student on track, noting his strengths and interests. This automatically populated the spreadsheet and created a record for teachers to review as they followed up with the student and helped change his schedule for the next semester. These meetings happen weekly, as teams cycle through all the ninth-graders. When teacher teams run out of ideas for how to help students in trouble, they pass along the challenge to a school “risk review team,” made up of administrators, counseling staff members and others. This team meets weekly to discuss the highest-need students, struggling with severe mental health problems, family dysfunction and serious crises. The goal in all of these meetings is to discuss students’ strengths and capitalize on them. The various elements of BARR serve as a safety net of sorts. They ensure adults are watching every kid, ready to step in when needed. The program will be in more than 100 schools in 15 states this coming academic year (up from 80 last year), and the BARR Center expects to expand to 250 schools by 2020, thanks to money from the federal government to support its scale-up. "The BARR model reflects the conviction that all students can excel regardless of race, zip code, or family income when they are provided with the right supports," King said at a BARR conference last year. Along with all the behind-the-scenes work by teachers, the BARR program features a weekly period for students called “I-Time,” which replaces a portion of one core class. (The “I” in I-Time is for the pronoun, with the period focusing on individuals.) The BARR teachers take turns teaching an I-Time, choosing from a list of lessons concerned with developing students’ social and emotional skills, addressing issues like bullying and substance abuse, and giving students a chance to get to know both their peers and their teachers in a more relaxed, social setting. Relationships developed in I-Time are meant to increase student engagement in the school community and increase the likelihood kids will show up. Steady attendance means students are present to learn the material that will help them pass classes and do well on tests, two metrics that BARR schools track to consider the program’s success. 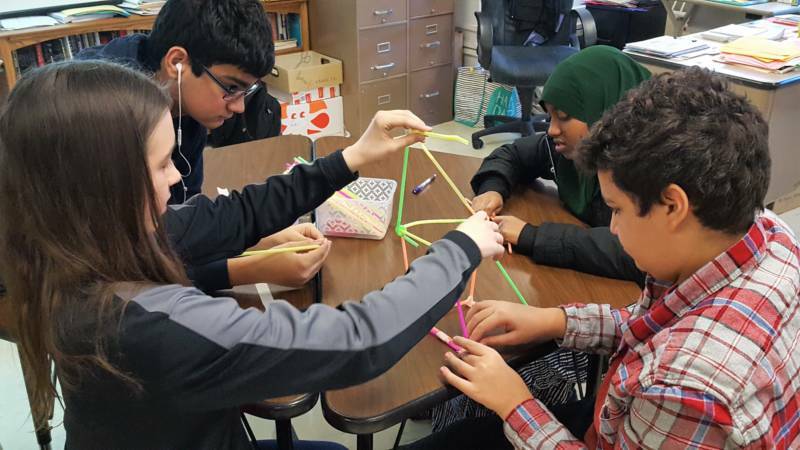 Sarah Lindenberg, a ninth-grade social studies teacher at St. Louis Park, started one I-Time class with a straw tower construction project. Students were split into small teams and given 40 straws plus two feet of tape. Their task was to construct the largest free-standing tower they could in 15 minutes. The challenge required them to work together, practice design thinking and move quickly. “Communication is key,” Lindenberg called out as she walked around the room, monitoring team progress. Students picked up on the friendly competition, urging their teams on to win. While a handful weren’t particularly active contributors in their groups, most were highly engaged. I-Time lessons range widely, content-wise, from fun games to serious discussions. 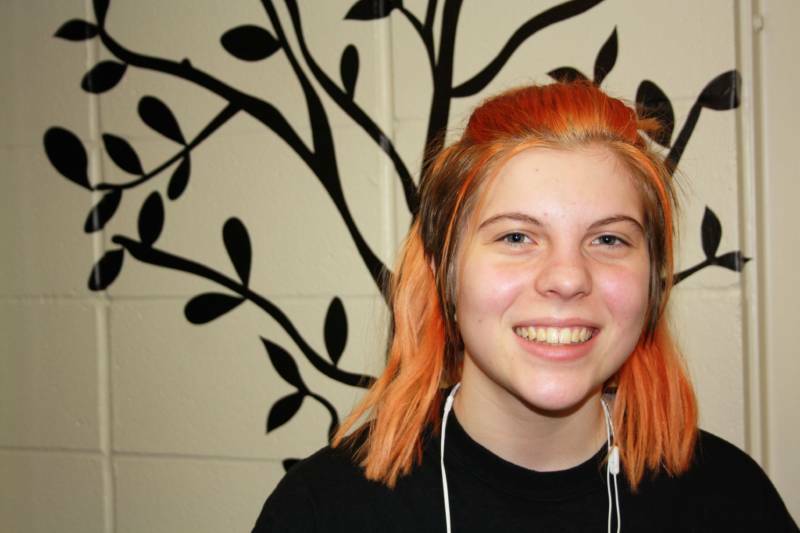 At nearby St. Anthony Village High School, a small suburban school just northeast of Minneapolis that is in its third year with BARR, ninth-grader Alice Grooms, 15, said she particularly liked an I-Time that her math teacher had led earlier this year. Students put pieces of paper on their backs and let their peers write notes to them, anonymously. At the end of the activity, students could read through the comments. Grooms, whose hair is dyed bright orange, got several notes commending her style and celebrating that she isn’t afraid to be herself. Teachers get some of the same benefits from I-Time. 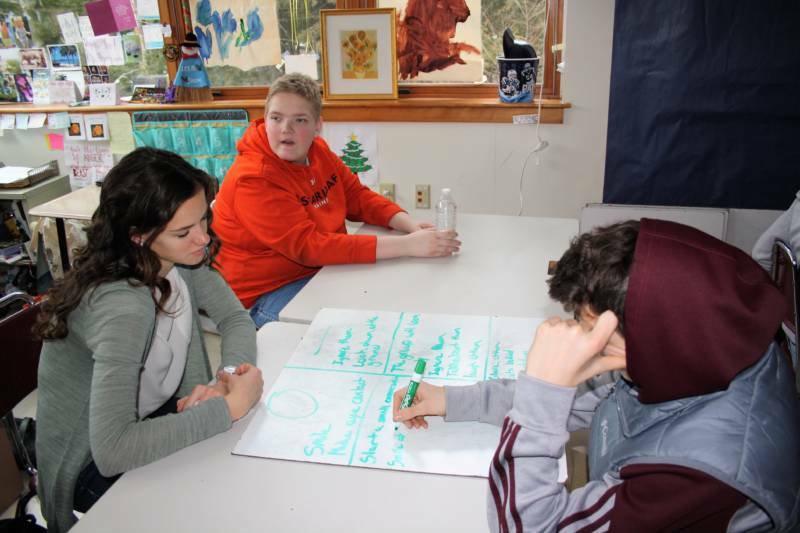 They learn more about students that can inform intervention plans and deepen their understanding of why students are behaving in certain ways. I-Time generates great fodder for the “strengths” column on the BARR teachers’ spreadsheets. Bos, the A.I.R. researcher, said BARR is less intensive than many programs aimed at high schoolers. It doesn’t require a lot of training for teachers — just six days over three years — and schools don’t have to overhaul their curriculum, purchase new products or hire a number of new staff members. “Most interventions are definitely more intensive, more expensive and more invasive,” Bos said. Most also target smaller groups of students, based on some specific risk factor, rather than an entire grade level. And when it comes to impact, focusing intensive services on a small population can garner big results within it. Because BARR focuses on all students, its measured effects can be considered relatively modest. But they’re consistently present, and Bos said BARR is one of the best programs he has studied when it comes to value for the money. Its power also lies in the universality of its potential impact. 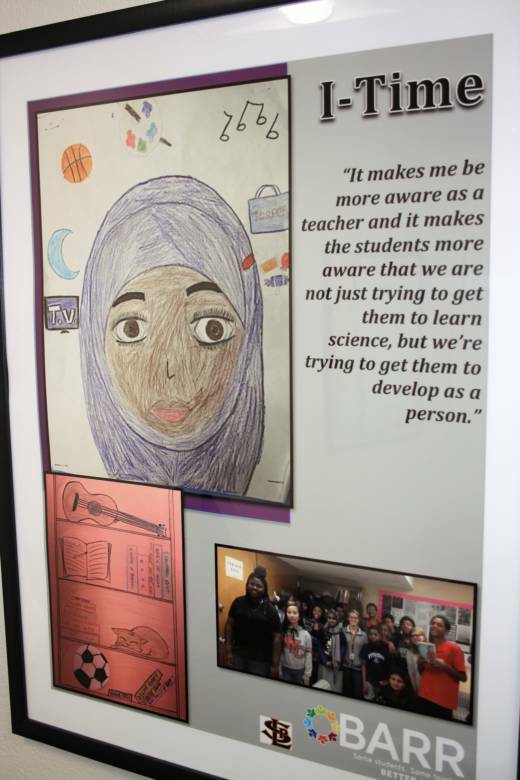 In all the different types of schools in which it has been tried, BARR has led to fewer course failures among ninth graders, higher attendance, better standardized test scores, and reports from both teachers and students that they feel more supported. Astein Osei, the superintendent of St. Louis Park Public Schools, sees the root of BARR’s success in its focus on positives. “In education, unfortunately there is a lot of emphasis on deficits,” Osei said. “We’re always trying to figure out how to help students with their deficits. The BARR model flips that on its head.” It asks, he said, what are students good at and how can we connect with them? And the benefits flow from there.